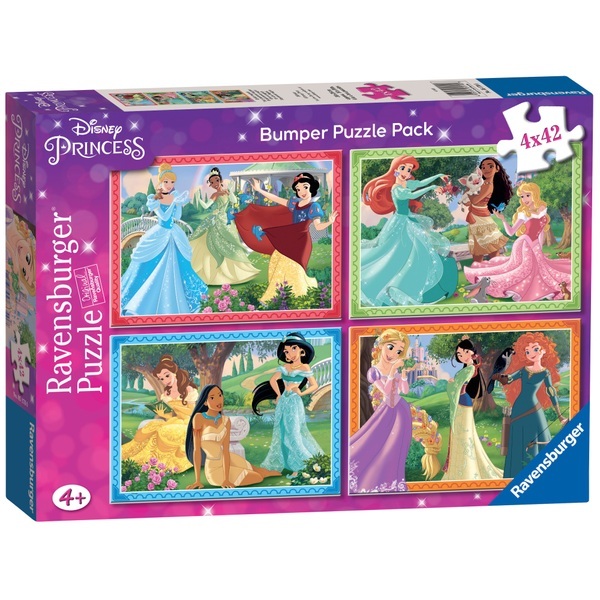 Ravensburger Disney Princess Jigsaw Puzzle Bumper Pack includes four bright and colourful Disney Princess puzzles in a bumper pack. Each of the four 42-piece puzzles show images of all your old and new favourite Characters including Rapunzel, Cinderella, Belle, Sleeping Beauty and many more. Puzzle measures approximately 36 x 26cm when completed.